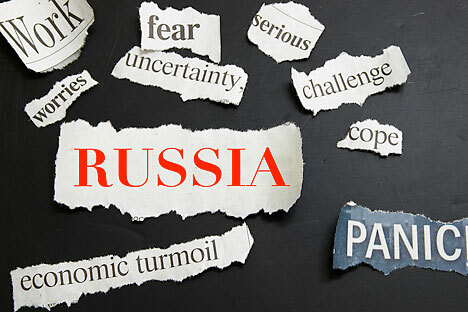 Russia's flexible foreign policy and slow but persistent liberalization of it's domestic affairs have meant that the country can no longer be painted as the enemy in the western press. But is the alternative not being discussed at all? Russia seems to be losing its status as a major newsmaker in the U.S. media. Take, for instance, the influential Washington Post. Since the beginning of June, the newspaper has published only three Russia-related articles: covering the murder of the former army colonel Yury Budanov, an anti-hero of the second Chechen war; the 20th anniversary of Boris Yeltsin’s election as president of Russia; and a Russian-American theater project. Compare that to June 2010: The famous spy scandal had just erupted, and in a couple of days, the Post responded with seven exciting “spy” stories (coming atop of 17 articles and editorials published earlier in the month on different topics). A whopping 19 followed in the first two weeks of July. Almost each of these articles featured the Mata-Hari-of-Manhattan, Anna Chapman, a woman “with a head for business…and a body for sin,” as the Post described her at the time. It’s possible to argue, of course, that, perhaps, there are no more “unauthorized foreign agents” of Russian origin left in the U.S. But the enigmatic Ms. Chapman is still alive and well in Russia, beautiful and…eh…enigmatic as ever – hosting her own TV show and planning a career in politics. Yet for whatever reason, her image does not inspire American journalists anymore. Or consider forest fires in Russia that in late July 2010 replaced the spy scandal as the news du jour. Kremlin critics both in Russia and the U.S. immediately put the blame for the crisis on the shoulders of Prime Minister Vladimir Putin. Somewhat paradoxically, though, the very same people interpreted Putin's behavior during the crisis as a sure sign of his intension to run for presidency in 2012. This summer, forest fires are ravaging Russia in full force again, but the U.S. media do not find this event newsworthy. Is it because the ongoing severe fires in Arizona make it brazenly clear that natural disasters, be it in Russia or the United States, can’t be accounted for by the malice of a single official, even as supposedly evil as Putin? Or is it because American journalists have collected so many rock-solid signs of Putin’s desire to return to presidency that they simply do not need pictures of him extinguishing fires? U.S. officials do not pay much attention to Russia, either. In his farewell public address, the outgoing Secretary of Defense Robert Gates assaulted the governments of NATO countries for insufficient – and still decreasing – defense spending. NATO military operations in Afghanistan and Libya were invoked in this context, but a military threat from Russia was not. Nor was Russia even mentioned during the Senate confirmation hearings of Leon Panetta, who has been nominated to succeed Gates as the Pentagon chief. It may already sound like a cliché, but the reset in U.S.-Russian relations did change the tone of the dialogue between the two countries. It is becoming increasingly difficult to constantly portrait Russia as perennially hostile to U.S. interests and values. True, the negative image of Russia in the U.S. is not a consequence of “bad” news; instead, this image is being purposefully and relentlessly created in the media by numerous anti-Russian interests. Yet, the principal objective of the media is to sell “news,” and lacking major conflicts between Moscow and Washington – and major “disasters” (both natural and man-made) in Russia, which American journalists are so good in describing – there is not much left to cover. After all, how many articles per month can a major American newspaper publish about Mikhail Khodorkovsky? In all fairness, it has been difficult to create “bad news” out of Russia’s recent moves. Moscow’s decision not to veto United Nation Security Council Resolution 1973 on Libya shifted the responsibility for the situation there to the capitals where it truly belongs: Paris, London, and Washington. Otherwise, Russia would have been inevitably blamed for all civilian deaths that occurred had Gaddafi troops attacked Benghazi in the absence of a no-fly zone. Moscow also wisely refrained from harsh rhetoric following NATO’s refusal to accept its proposals on joint missile defense in Europe during the Russian-NATO Council meeting in Brussels on Jun. 9. While Russian Defense Minister Anatoly Serdyukov explicitly expressed Russia’s disappointment with NATO’s unwillingness to properly address its strategic concerns, he nevertheless insisted that the both sides “trust each other” and that future negotiation “might turn out to be successful." Of course, don’t harbor any illusions: Russia’s thoughtful and flexible foreign policy – and any liberalization of its domestic one – will not automatically create a positive image of the country in the West. But the number of “horror” stories will inevitably go down, even if at the price of reduced coverage. How do they say it: no news is good news? It certainly is for Russia. Eugene Ivanov is a Massachussets-based political commentator who blogs at The Ivanov Report.